This is a sponsored conversation written by me on behalf of Northwestern Mutual. The opinions and text are all mine. They say necessity is the mother of invention. If I had to apply this to my own life, I would say that it’s spot on. During my twenties I was focused on increasing my income. I fell into the hamster wheel of finances. I made money, I spent money. It was an ongoing cycle that looked great on the surface, but in reality was keeping from moving forward financially. When I get asked what was the tipping point that caused me to turn things around, the answer is always the same – the moment I lost my job. There’s nothing more sobering than facing a sudden decrease in income and not having a back up plan. I had a cushy job with excellent benefits, but the moment that all went away I knew things had to change. I had worked hard for many years, yet I had nothing to show for it. I literally didn’t know how we would buy groceries let alone pay our monthly bills. The only thing a job had provided me with, besides an income, was a false sense of security. 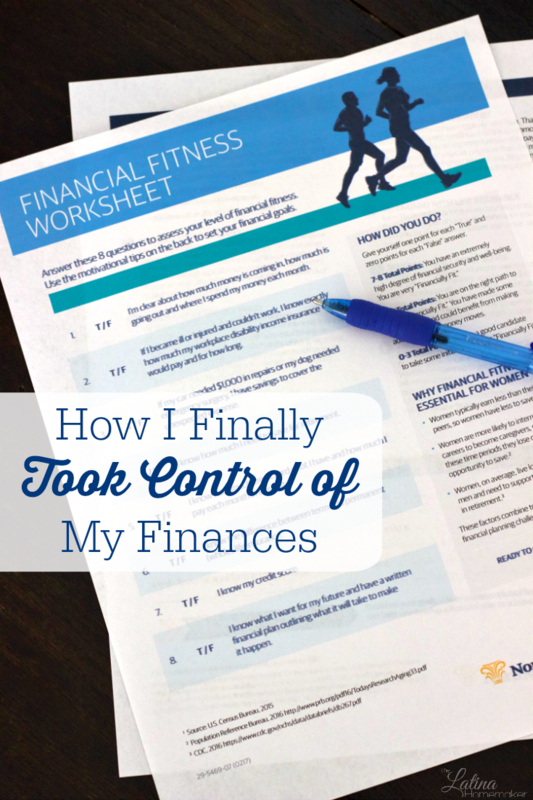 It took an unfortunate event for me to realize that being financially fit had little to do with money. As a woman, I find that the topic of finances can be a bit taboo. We often allow our spouse to make important financial decisions that affect us instead of being more involved. But what if we made it a point to be assertive? That’s what I did five years ago after finding myself with no job, no back up plan, and no savings. It was one of the hardest moments in my life, but it forced me to make drastic changes in how I managed my financial affairs. It was the moment that I finally took control of my finances. 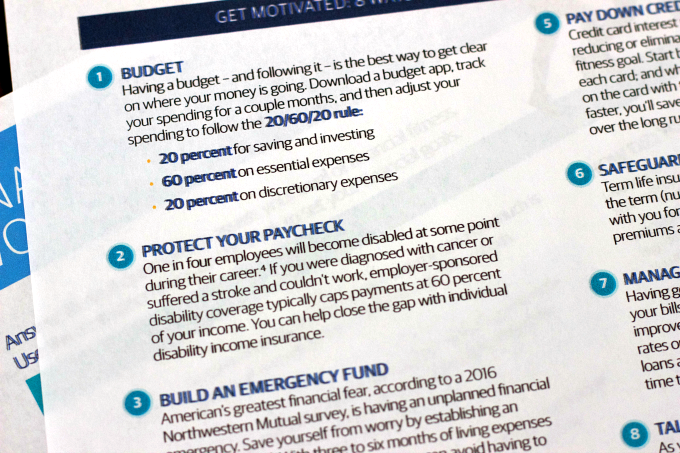 I recently completed the Financial Fitness Worksheet by Northwestern Mutual to find out how financially fit I am. I’m happy to share that my results were a vast improvement compared to my financial health years ago. According to the results, I’m “Financially Fit” and have a high degree of financial security. Although I still have a lot of goals I want complete, I’m confident I’m taking the right steps to achieve them. 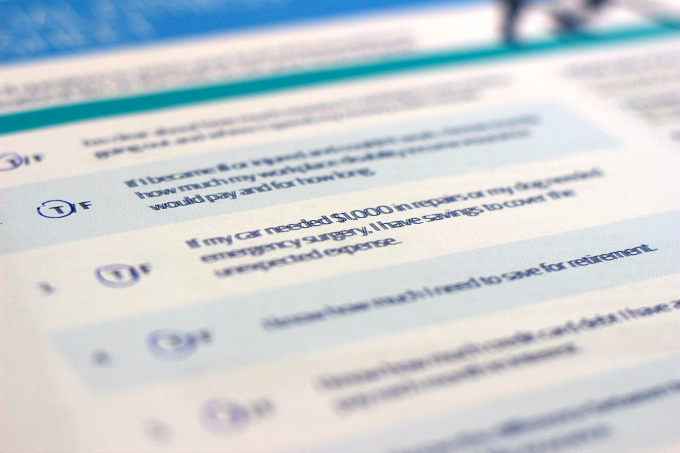 Today I want to challenge you to take a closer look at your own financial health. Are you living paycheck to paycheck? Do you have short and long term goals? What steps are you taking to reach them? Download the Financial Fitness Worksheet to learn how you’re doing. You’ll also find great financial tips to help you get on the right path to financial fitness. From budgeting tips to paying down credit card debt, you’ll find tips that will help you get motivated. What are your financial goals for this year? As always, I’d love to hear from you!